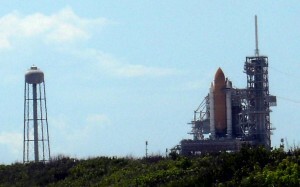 The other night vandals hopped over a short fence and sprayed graffiti on the Space Shuttle mockup at Space Center Houston. 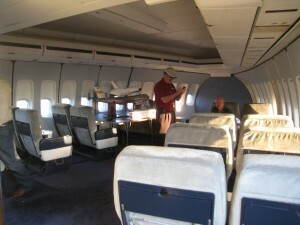 The mockup that was renamed “Independence” following its arrival from Kennedy Space Center where it was known as “Explorer” is part of a planned exhibit which will include a Boeing 747 that used to ferry the real Space Shuttles from coast to coast. 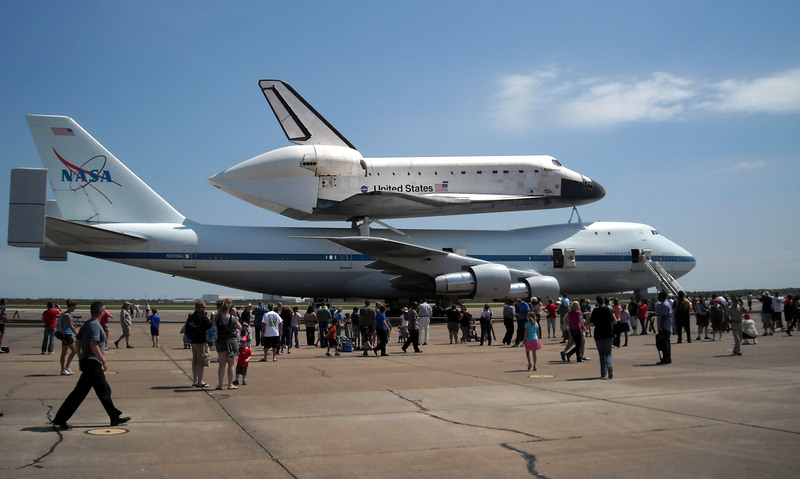 According to Space Center Houston officials the eight-story tall mated plane and Shuttle mockup exhibit is expected to be completed in 2015. 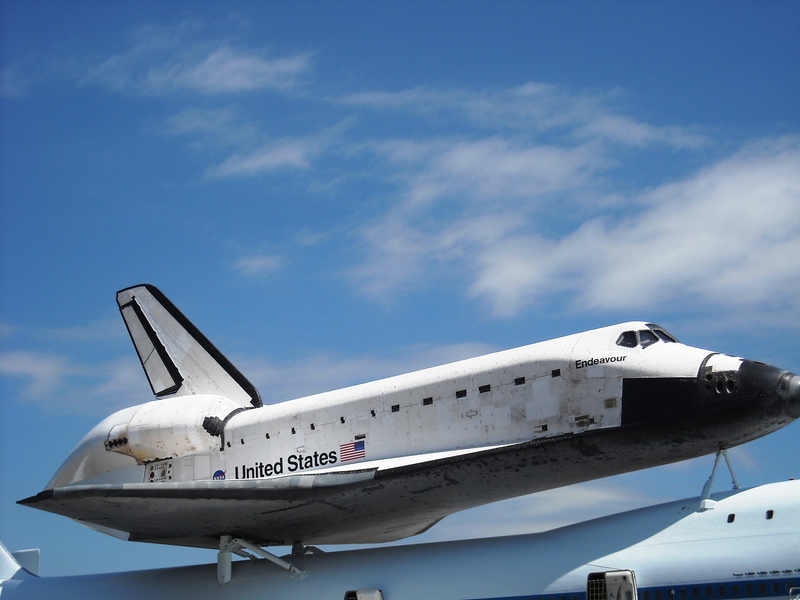 In the meantime, the Space Shuttle mockup stands sentry outside Space Center Houston to welcome visitors and to help them see just how large the Space Shuttle was. 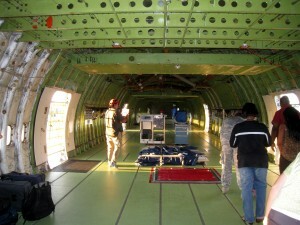 It was one of those visitors, a tour bus driver, who alerted Space Center Houston officials to the graffiti. 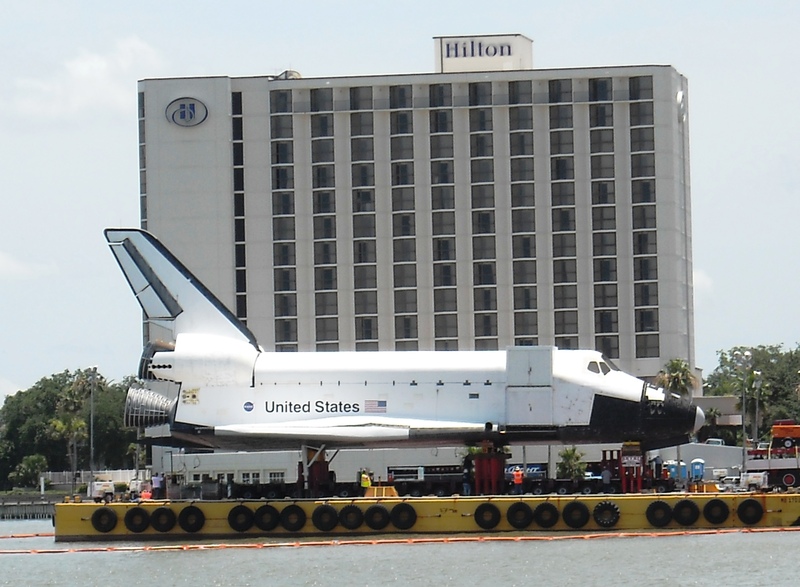 When the Space Shuttle Mock up arrived via water taxi it was sans “tagging.” Last week someone changed that fact by spray-painting the side of the mockup while it was sitting outside Space Center Houston. This story caused several questions to come to my mind when I first heard it. The first question was how was it that Space Center Houston employees were not the first ones to notice the graffiti? In the spirit of full disclosure it should be noted that I do not own a Space Center where mockups of vehicles are stored. I am fairly certain if I did though I would make sure that someone walked the grounds every day and checked on things before opening the doors to the public. If the “tagged” mockup was able to be noticed by a guy driving in I would think that it could be noticed by an employee walking the grounds. To be fair to Space Center Houston though I guess bus drivers do ride up pretty high in their vehicles so perhaps it was easier for them to see it than someone walking on the ground. The second question that crossed my mind when I saw the mockup covered in black spray paint was how was it so easy to get to? 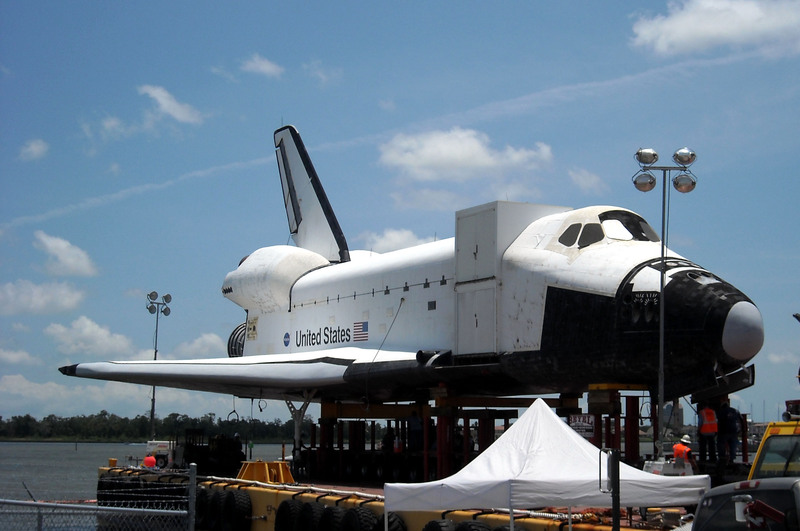 I mean I know that the mockup, that I affectionately call Balsa Shuttle due to it being made mostly out of wood, is not a real Space Shuttle so it does not have the same protections that a real Space Shuttle would have. 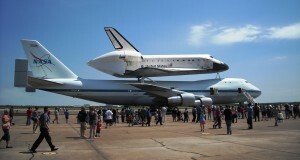 The Shuttle Carrier Aircraft pictured with Space Shuttle Endeavour on it will be moved to the front of Space Center Houston and will join the Shuttle mockup in a ferry flight configuration in 2015. 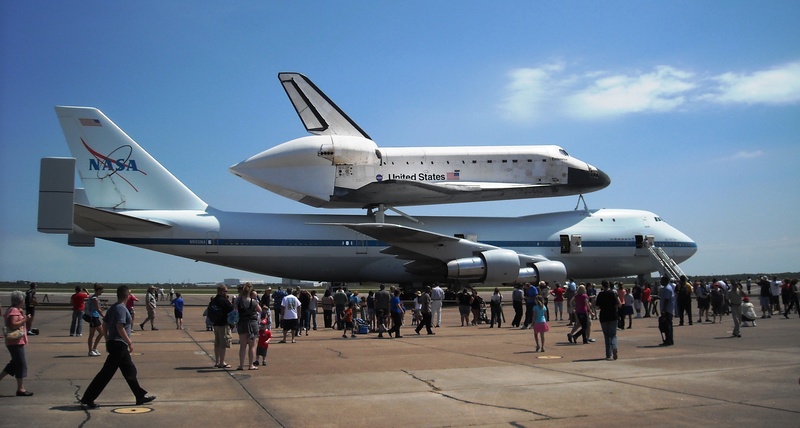 And of course here is the spot where people can go on and on about how wrong it was that Houston did not get a real Space Shuttle until they are blue in the face. Personally, as I have noted before I think that based on the inventory of Space Shuttles available the placement of the Shuttles was justified with the exception of perhaps Space Shuttle Enterprise which is sitting on the deck of an aircraft carrier in the Hudson River in New York City. I guess I missed the tail hook landing features of the Space Shuttles that would make placing it on an aircraft carrier make any sense whatsoever. 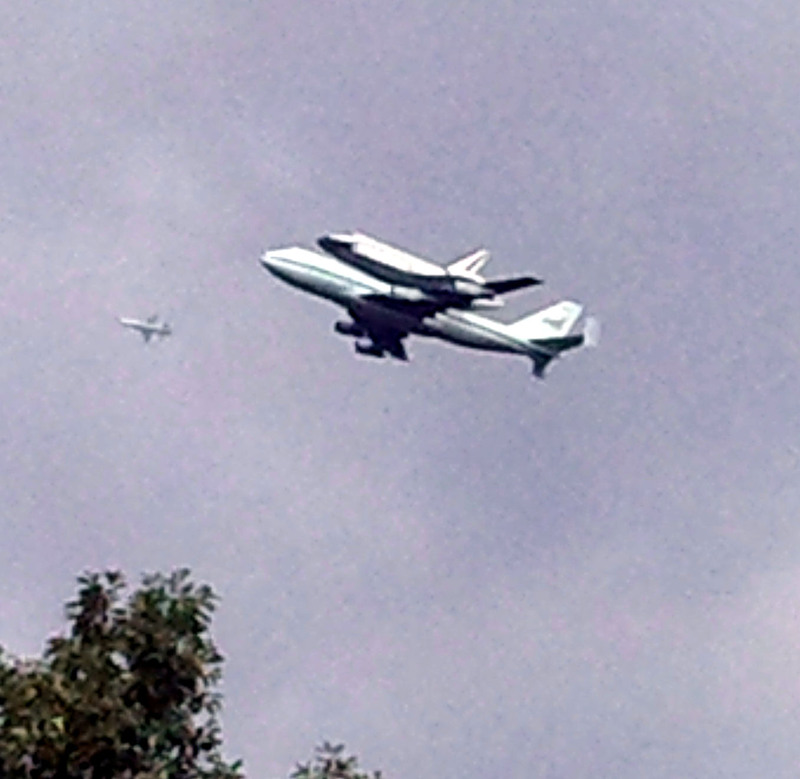 Although watching a Space Shuttle return from orbit and deploying a tail hook to make a carrier landing certainly would have been something that one would not forget witnessing. Anyway, back to Balsa Shuttle. I know that it would not be prudent at this or any other juncture to have a guard stand watch over the Shuttle mockup all night. But seriously it is only protected after hours by a knee high fence? 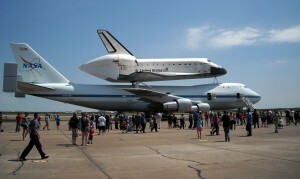 I certainly hope there was a better security plan in place in the event that Space Center Houston had been given a real Space Shuttle. Space Shuttle Endeavour is on display in California. 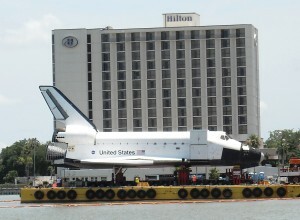 Many people in Houston feel that a real Space Shuttle should have been given to Houston. 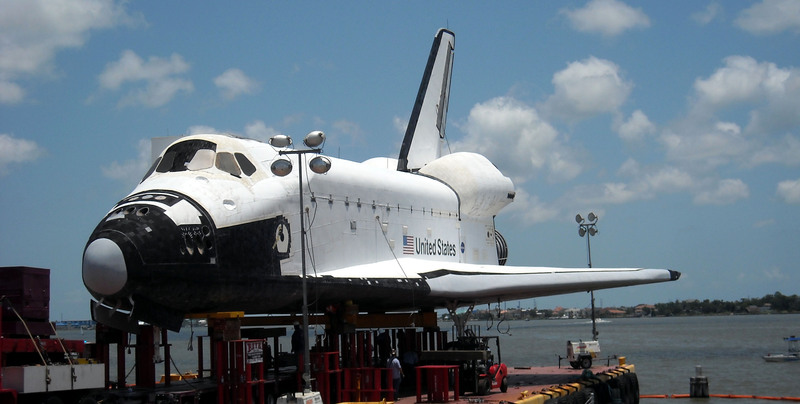 One hopes that if Houston had been given a real Shuttle they would have treated it better than the mockup they were given. Space Center Houston officials have said that there is video evidence of the fence hopping spray painters in action so they are hoping to bring them to justice soon. 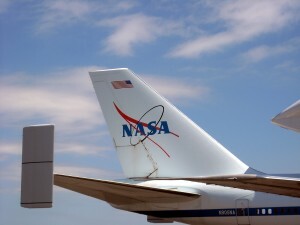 But, it seems to me that there would have been some sort of patrol of the grounds overnight where one or more people standing on the wing of a Space Shuttle mockup would have been noticed. 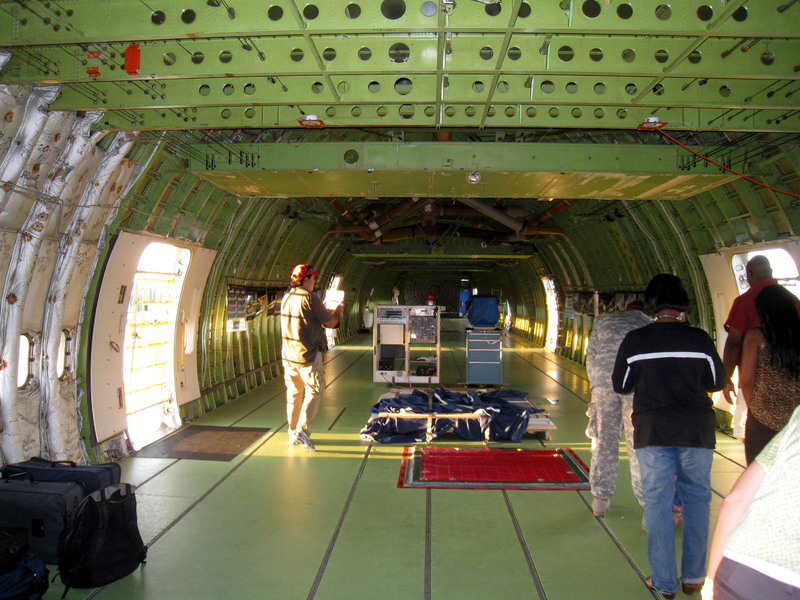 It should be noted that once the Space Shuttle mockup is mated on top of the Boeing 747 it should be harder to tag since it will be higher up off the ground. Although it will likely have a stairway leading up to it so perhaps it will still not be safe from what I am assuming were adolescents who were off school and bored. I am picturing the exchange went a little something like this. Kid 1: Hey, remember that cool space themed science museum we used to go to every year on field trips with school? Kid 2: You mean Space Center Houston? Kid 1: Yeah, wouldn’t it be cool to go there right now and learn something new about space exploration? Kid 2: I think they’re closed dude since it is like dark out and stuff. Kid 1: Well, I guess we could just go spray paint the Space Shuttle with the big barn doors on it since they are closed and we can’t go in and learn how to be engineers and expand our minds. Okay, so the exchange probably went nothing like that. It should also be noted that while I certainly have no proof that the spray painting was done by kids it does seem to fit a profile of what bored kids with a week off from school might do. And considering all of the things that bored kids could have done to Balsa Shuttle, I mean Space Shuttle Mockup Independence, Space Center Houston officials should probably count their lucky mock ups that they have a painted mockup versus a burned to the ground mockup. And while I in no way condone the act of vandalism committed or am suggesting that any further harm befall it, it was likely that the mockup was due for a new coat of paint anyway as anything that spends time under the Texas sun is bound to fade and need a touch up now and then. Now if you’ll excuse me, it is time to move my car into the shade and out of the paint fading Texas sun.